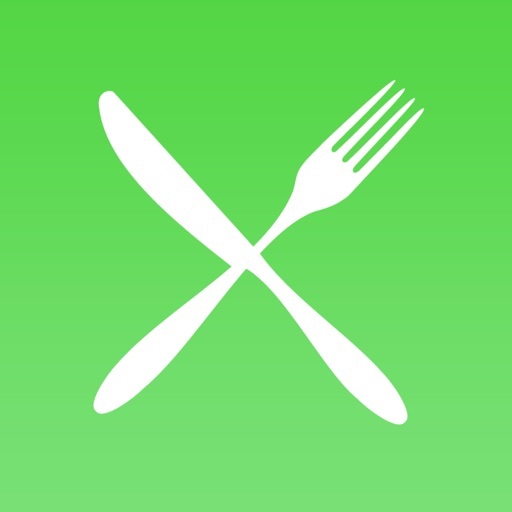 The Food Hygiene Ratings app gives you an easy way to check the Food Standards Agency Hygiene Rating of your favourite restaurants, pubs, supermarkets, cafes, takeaways, hotels, and other places you eat out. 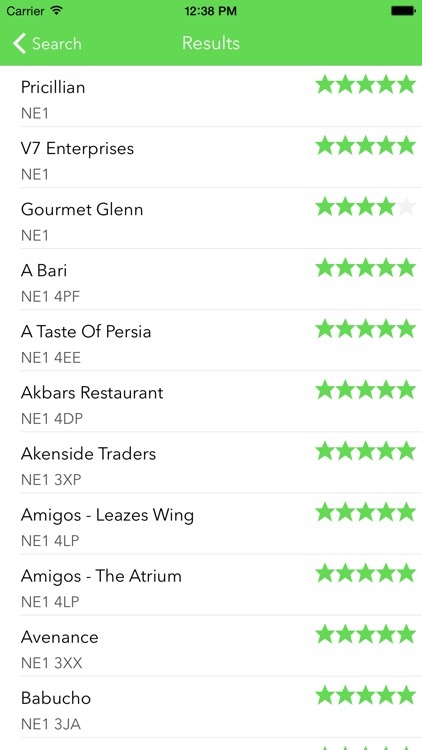 Easily search for food establishments by postcode, name, and nearby to you with the simple interface. 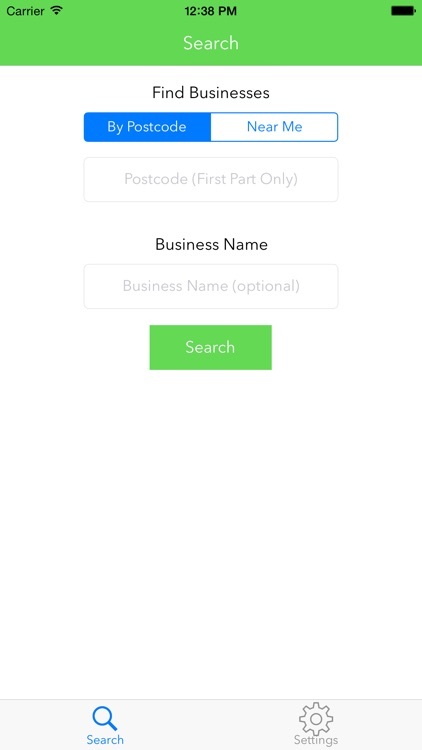 You can also find more information, such as address, local authority details, phone number, business category, and rating date. In addition to this, you can view the establishment on a map and plot the quickest route to get there! 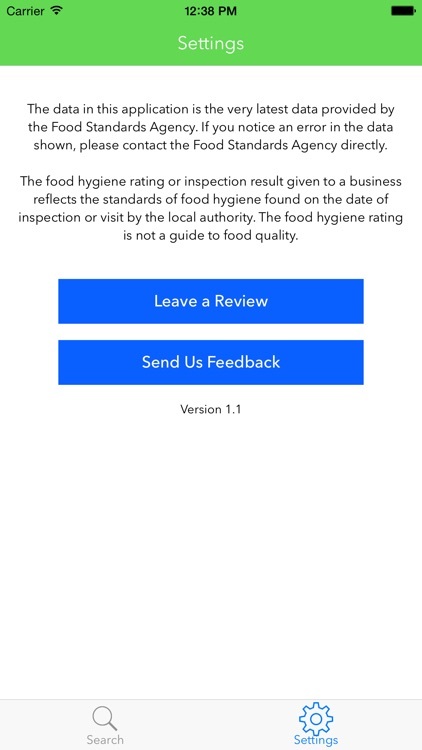 Please note that this app is not affiliated with the Food Standards Agency, and simply provides you an easy way to check the ratings using their API. 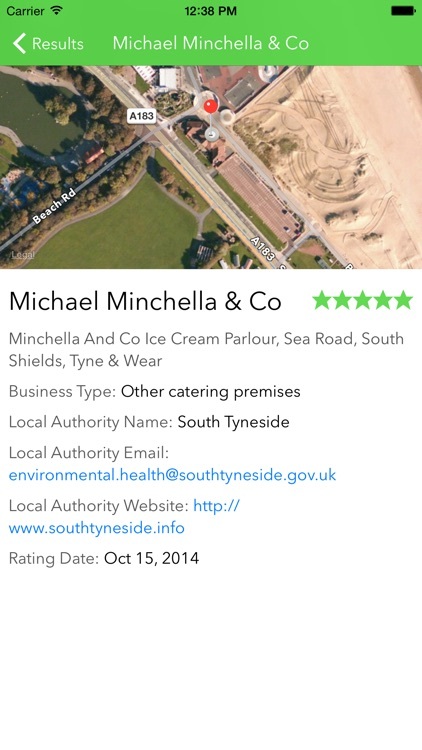 You can only search for hygiene ratings of businesses in areas where the scheme is run. The data in this application is the very latest data provided by the Food Standards Agency. If you notice an error in the data shown, please contact the Food Standards Agency directly. 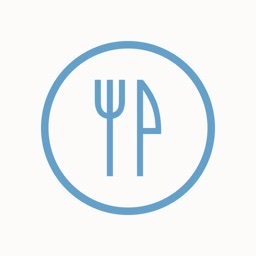 The food hygiene rating or inspection result given to a business reflects the standards of food hygiene found on the date of inspection or visit by the local authority. 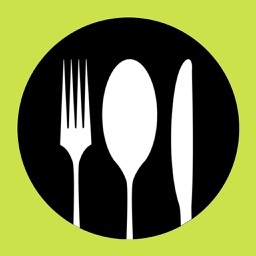 The food hygiene rating is not a guide to food quality. 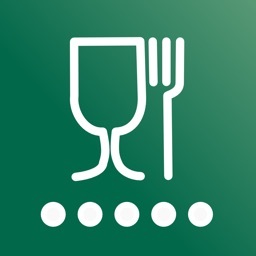 The food hygiene rating or inspection result given to a business reflects the standards of food hygiene found on the date of inspection or visit by the local authority. 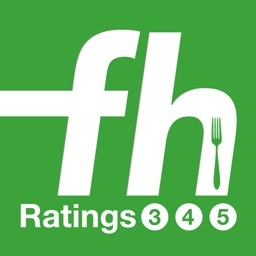 The food hygiene rating is not a guide to food quality. 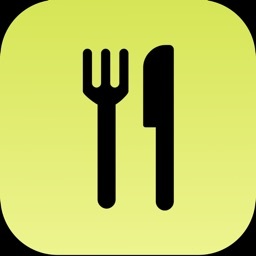 The information provided on businesses is held on behalf of local authorities participating in the national Food Hygiene Rating Scheme in England, Northern Ireland and Wales or the Food Hygiene Information Scheme in Scotland. You can only search areas running either of these schemes.